G'day Tony. 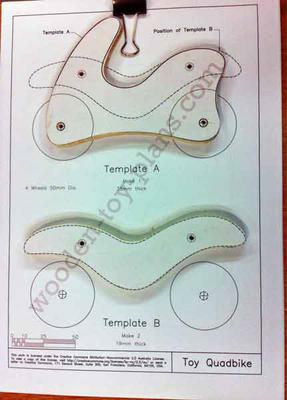 I've made some progress this week on making your wooden toy Quad Bike prototype. The wheels are 50mm made with a McLings Wheel Cutter from a piece of hardwood from my original roof frame. The sides are cypress pine flooring. The bodies are Oregon & Red Gum. The bobbin sander did complain at doing the Red Gum. Still another good couple of hours to finish them, I'm excited to see how the final toy will look.